I love to cook at home but sometimes I run out of new recipes to try or I just don’t have time to make a run to the grocery store. I’ve previously posted about Blue Apron on my blog and today I’m excited to share with you another meal of theirs I recently made for me and Drew. In case you’re not familiar with Blue Apron, It is a service that delivers fresh ingredients to your home weekly along with recipe cards for three healthy, delicious and unique meals (really when you’re finished making the meals you’ll feel like a gourmet chef). I only need to make dinner for two people so when I meal plan for the week and go to the grocery store, I always end up throwing away SO much food because both Drew and I can’t go through it fast enough before it goes bad. I love Blue Apron because they deliver exactly what I need for each meal so there is no wasting involved! 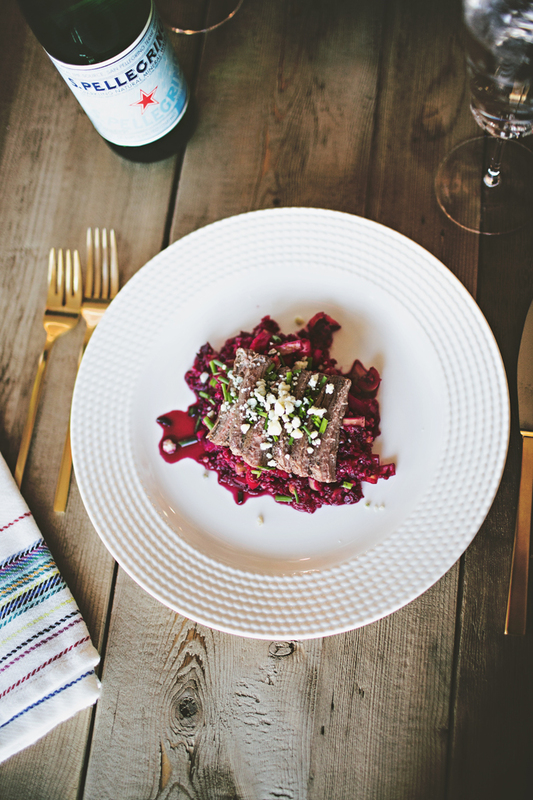 For this meal, I made Basted Flank Steaks with Beet-Freekeh Salad. I LOVED it!! One of my pregnancy cravings has been red meat so this meal totally hit the spot! Both Drew and I have never tried a beet salad before so it was fun to try something completely new! This recipe came from Chef John Adler at Franny’s in Brooklyn and some of my very favorite restaurants in the entire world are in NYC so it was definitely a treat to be able to cook a dish that came from the big apple! 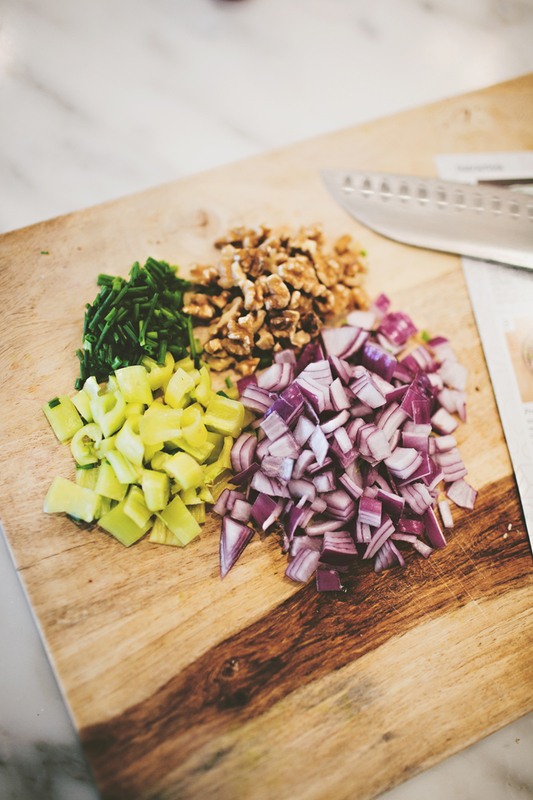 If you’re interested in trying Blue Apron, the first 100 Pink Peonies readers to sign up here will recieve 2 free meals! Happy cooking! Looks gorgeous and yummy! Your kitchen is like my dream! This looks absolutely delicious! Love Blue Apron and the whole concept! Love this post. Blogging has made me so busy I don’t have time to shop, cook and eat and I also cook only for two. Such a great idea and wonderful NYC chef recipes too. This makes life easier. Sounds like an interesting company! The food looks yummy! that dish looks tasty AND gorgeous! yum! This looks delicious! I’m loving the concept of Blue Apron. Part of my New Year’s resolution is to eat healthier, so I will definitely check them out. I wish Blue Apron delivered to Omaha! I LOVE the concept of fresh, healthy, fast meals! How do you identify yourself as a Pink Peonies reader on their site? Looks yummy and very unique! 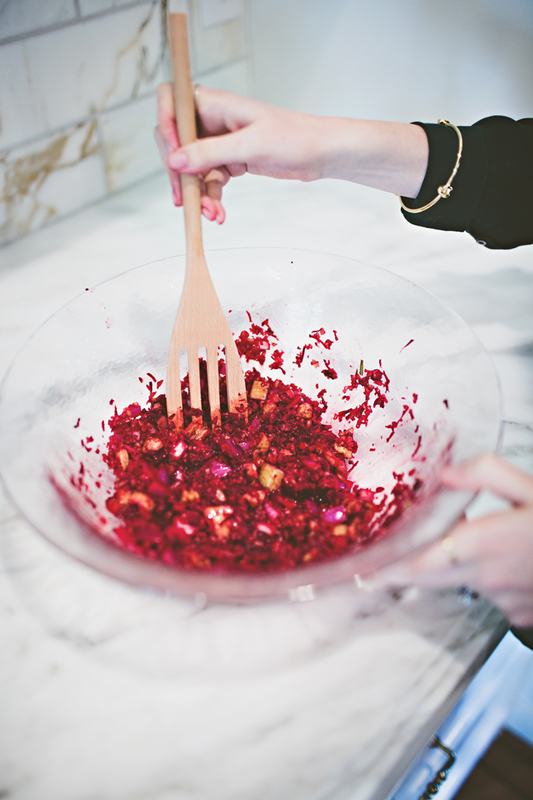 I love beet salads so this recipe would be right up my alley. 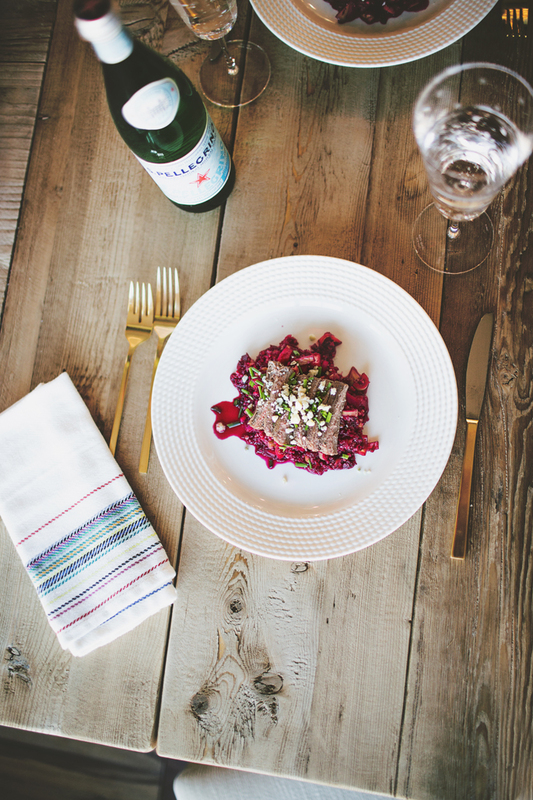 wow this looks so yummm….Blue Apron is such a nice service….i hope every country has a service provider like this…..you look great wishing you and your family a great new year….. This looks delicious!! I love beets! Looks delicious! Also, your kitchen is gorgeous! What a beautiful meal…it looks amazing!! 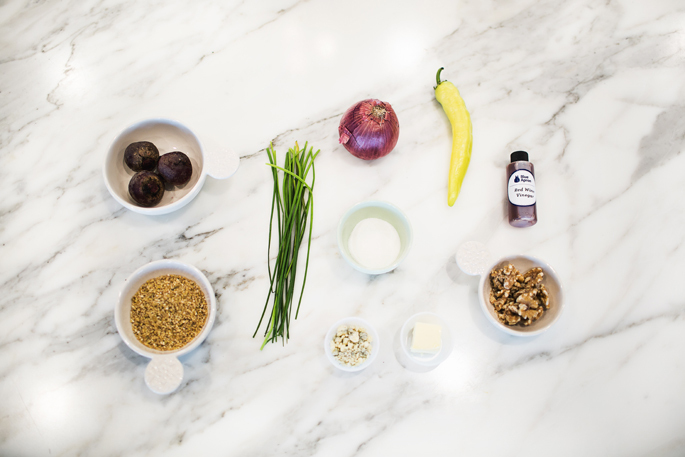 this is so great…one of my friends swears by blue apron, now i’ll definitely have to try it! I just signed up! I never realized that it was so affordable! Such a great concept especially when you have a super busy work schedule I need to look for something like this in my area! Great post! I’m thinking about giving a few meals as a wedding present! Looks delicious, Rachel! I’ve been meaning to try this out. That looks amazing, what a great concept! Happy new year! that looks so easy and yummy! I love Blue Apron! I’ve tried them a couple of times and their meals are delicious! Not a beef eater but this looks good! Oh my goodness, just look how good this looks. I am so hungry right now lol. Amazing post. Happy New Year! This is not meant to be a rude comment but I was wondering if you have an editor for your blog. The pictures look professional but the writing has a lot of grammatical and spelling errors. I am not referring to this blog specifically but it is something I notice when I read your blogs. To maintain a professional image you should find an editor who can correct your posts without changing your voice. Paige, your comment wasn’t rude at all. I’m always up for constructive criticism. In line with that comment. you spelled “steaks” incorrectly. Since that is the main focus of the article, and you’re being paid to write this post, an editor would make sure you keep the readers and the sponsors happy by not butchering the spelling of the product you are selling. Rachel….always a great job posting on your blog. :) I think you are very on point with what your readers are hoping to see next! Anyways, I am enjoying it all the time. That said, where are those napkins from!! They are perfect! This look so delicious. 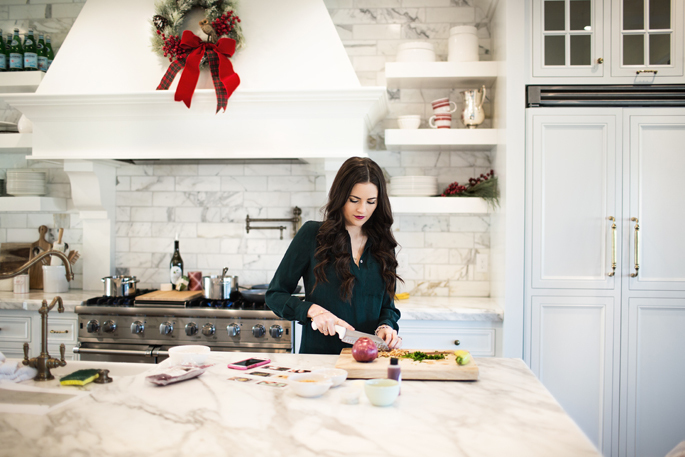 I love cooking but I would definitely love cooking more if I had your kitchen!!! Would love to hear how you’re liking your marble countertops! They get a bad rap but are so beautiful and I’m trying ot make my own decisions about whether or not to go w/ Calacutta Gold! that looks so yummy! i wish i could afford blue apron, because that service seems like the bomb!! I have been wanting to try this. Thanks for sharing! Looks delicious I need to try this! Looks so good! 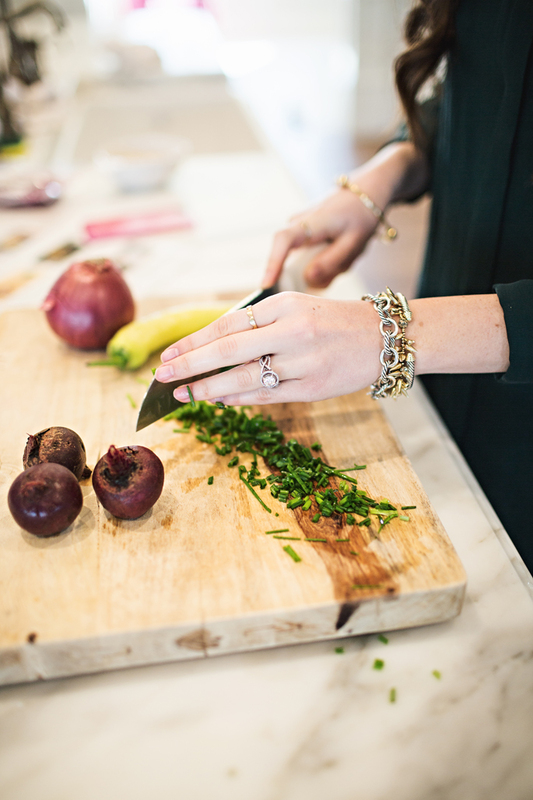 You make cooking look so glam! 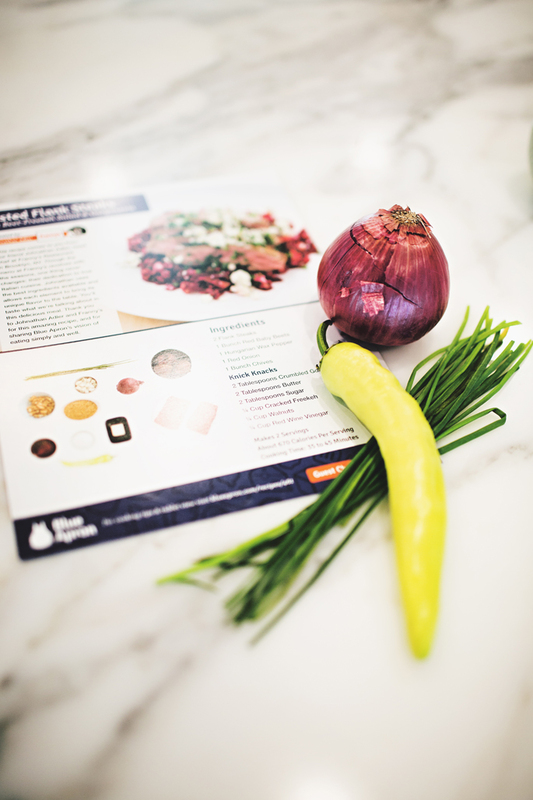 Looks so good, Blue Apron sounds like a great service! Yum, I LOVE beet salad! Their meals always look great, but the price of the service has deterred me.